Moldovan producers will showcase their wines in London at the first tasting with wine specialist importer, Novus BH Magister. It is thought to be the one of the first wine tastings in the UK devoted solely to Moldovan wines to date and the first of the Moldovan wine importer. 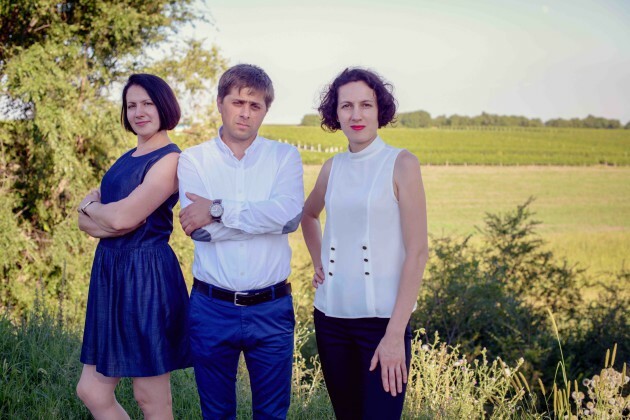 The specialist wine importer was set up by Moldovan sisters Irina Hriplivii and Aliona Braileanu and the formers husband in 2016 after the trio realized the UK’s restaurants and retailers were not aware of “the quality” of wines being produced by the country, which has previously been reliant on exports to Russia. The range of wineries showcasing at the event include Château Vartely, which is already sold in the UK. There are also six wineries that have never shown their wine in the UK – Cricova, Equinox, Fautor, Poiana, Timbrus and Salcuta. “To say that wine runs through the very fabric of Moldovan history and culture is a bit of an understatement. Our company was created to introduce ourselves as part of this rich heritage, and show why we are so proud to represent Moldovan wine in the UK,” said Hriplivii. The changes in winemaking standards over the last decade or so had been huge, and it was time to show the quality that is available, she added. Eastern European wine expert Caroline Gilby MW, whose book ‘The Wines of Bulgaria, Romania and Moldova’ was published earlier this year, will host two masterclasses at the tasting. One will look at local varieties such as Feteasca Regală and Neagră, and the second focusing on the wide spectrum of international grapes such as Chardonnay, Sauvignon Blanc and Cabernet Sauvignon grown there. “The tiny country of Moldova is so often overlooked, yet with 81,000 hectares of noble vines it is a bigger producer than Bulgaria, Hungary and even New Zealand,” said Gilby. Open to members of the trade, the event will take place 10th October in London.